The unique design and massive size of Marina Bay Sands have certainly transformed Singapore’s tourism landscape into what it is today. Perfectly positioned to overlook the city from one side and the sea from the other, the view from either side of the hotel is certainly spectacular. 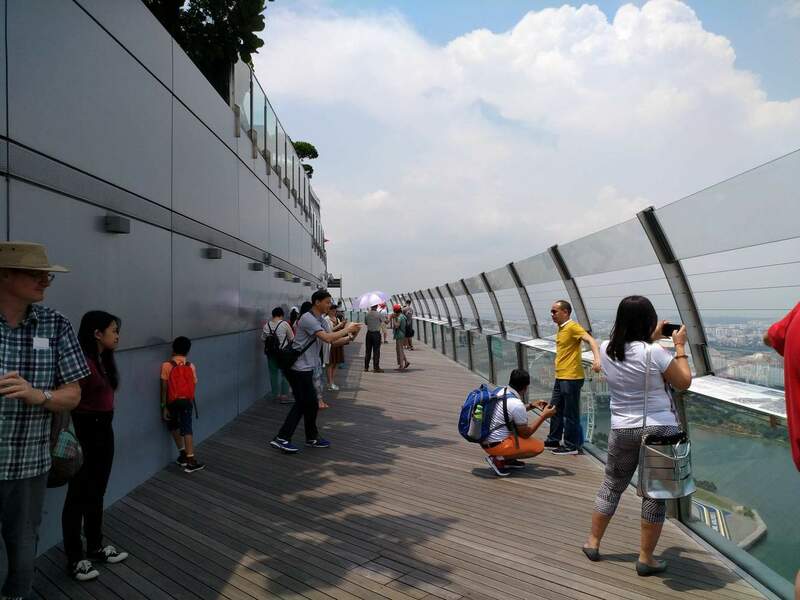 The Marina Bay Sands Skypark gives visitors a 360-degree panoramic view of Singapore. On a clear day, the famous Gardens by the Bay and the Strait of Singapore can be seen from the deck’s southern viewing area. Facing north, visitors can see right through Singapore’s entire skyline, just across Marina Bay. 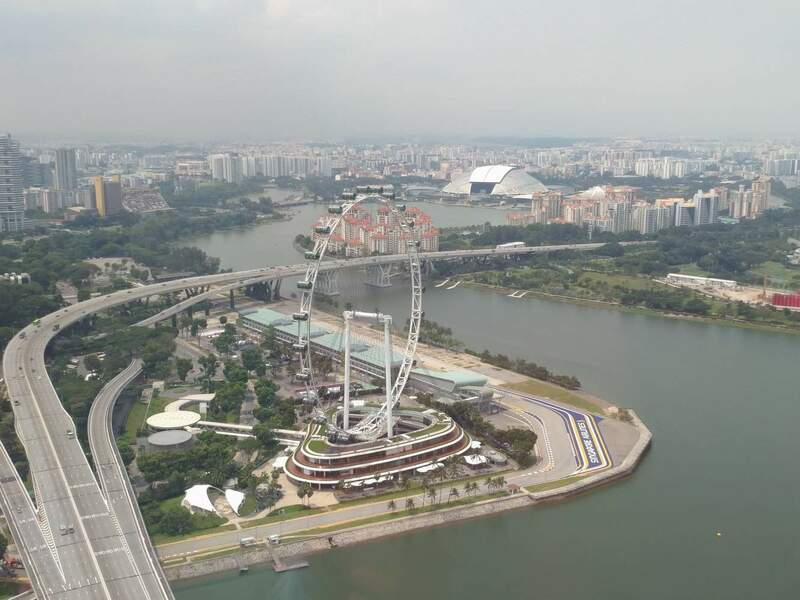 The iconic Merlion can also be spotted from this direction, but you might need binoculars! A smaller viewing platform gives a good view of the vanishing edge of the infinity pool, is located on the other side of the main deck. Visitors with the observation deck tickets may go to this side to take amazing snapshots of the pool; unfortunately, only hotel guests are allowed to go into the pool area. 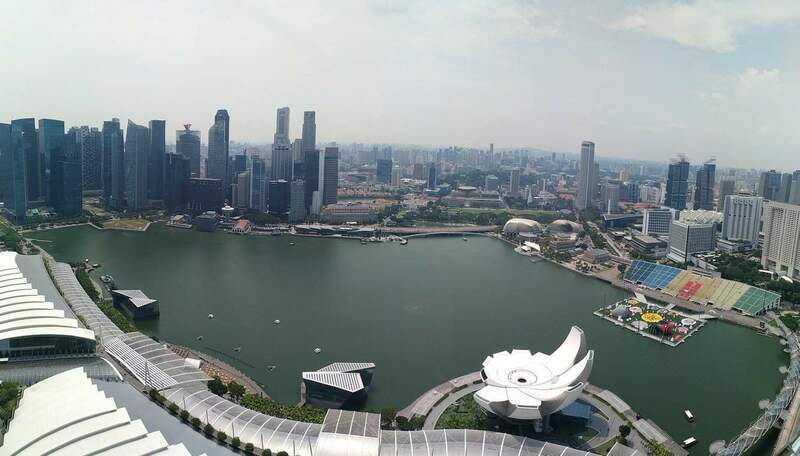 All hotel guests can visit the Skypark for free in the whole duration of their stay – that means unlimited use of the hotel’s infinity pool, private hot tubs, and pool lounges, with the beautiful skyline as a backdrop. There is no designated dress-code for the Skypark, except that guests must wear footwear – bare feet are not permitted. If you are looking for accommodation at Marina Bay Sands, click the link below to find the best deals. 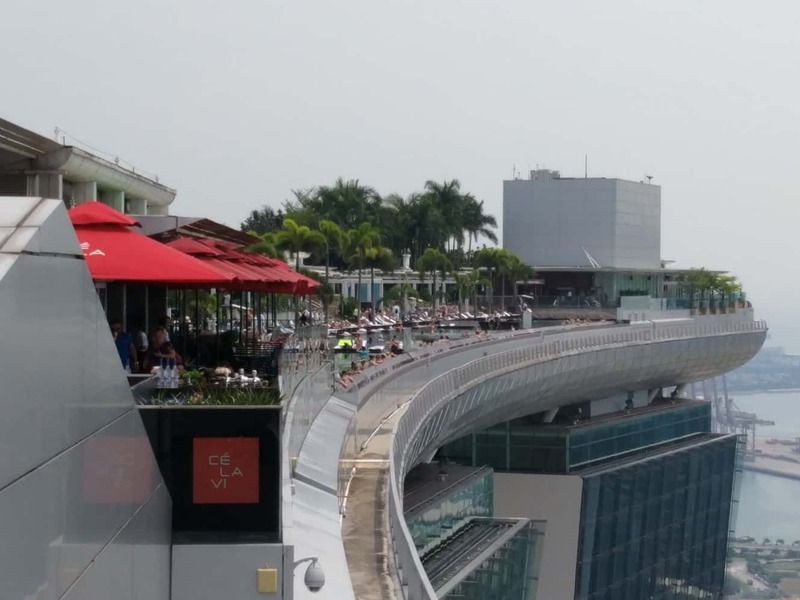 Does the senior discount rate cost to the marina bay rooftop apply for tourists? Plus at what age is considered senior? I have checked the official Marina Bay Sands website and a number of booking websites and due to the fact there is no mention of having to be a local resident, I would assume that you would be able to claim the discount – as long as you bring suitable ID to prove your age. As for the specific age, seniors are classed as being over 65 years old.